Outgoing Royal Bank of Scotland deputy chief executive Gordon Pell is walking away with a bigger pension than former boss Sir Fred Goodwin, according to the Times. Disgraced Goodwin bowed to pressure last year agreeing to sacrifice £4.7m of his £17m pension after a public backlash. The newspaper says the value of Pell’s pension soared to £13.58m in 2009, after increasing £3.75m during the year. Pell has spent 39 years in banking and joined NatWest in 2000 before RBS’ hostile bid. He will draw £582,000 a year from the bank while Goodwin will receive £342,500 a year rather than the £555,000 agreed previously. Peter Charge has been promoted to the role of head of sales for directly authorised firms at Tenet Group. The mainstream press will latch on to this as usual and create a fuss, but I bet they don’t point out what his Special Annual Allowance Charge will be, or the tax revenue the Treasury will get from his pension income. It’ll be all about misinformed headlines as usual. Pell to retire on 25 x average earnings after such a banking debacle?! That does it; I give up on RBS – I am closing my account this year. In future it can fund its profligacy without using my deposits. 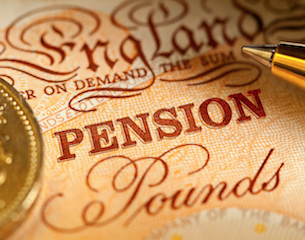 Yet again the fattest fat cats get to retire with all the plush and luxury; these pensions should have been cut as soon as the public bailed the incompetent buffoons who caused all this trouble. I’m not saying leave them penniless but lets see how they would get on with a normal final salary of say someone earning 60k a year with a final salary scheme, lets face it they are not worth any more than that. I suppose the rest of the old boy banking network would approve of his massive golden parachute, massive payoff for the country club elite again!